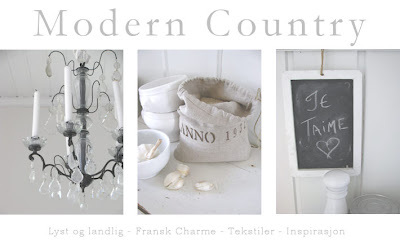 Right now I have a major blog crush on Modern Country. 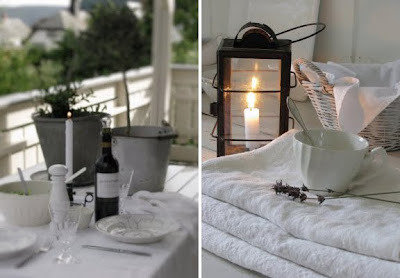 The blog's author Aina, has a beautiful aesthetic and her photographs are amazing. The blog is written in Norwegian but thanks to the wonderful and handy Google Translator, all posts are easily translated, some even by the author herself. Aina also has a shop, Aina's Charme, which is a beautiful collection of handmade goods for the home.